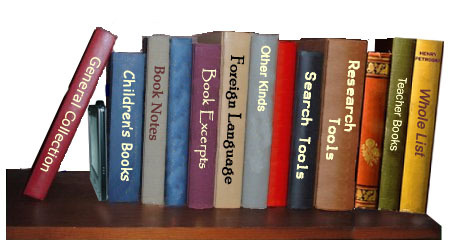 Books are only one kind of text based document that can be found on the web. Electronic versions of comics, newspapers, and magazines are also available. Graphic novel version of the report from Slate Magazine. Manga presented by chapter for online reading. Anime videos and mange series for online viewing. For Earth Day, Amazon.com is offering customers a free downloadable copy [.pdf] of Blue Planet Run: The Race to Provide Safe Drinking Water to the World. Large number of children's books in PDF and online page flip formats. A wide variety of comics and graphic novels. Comics.com: http://www.unitedmedia.com/categories/index.html Over 88 newspaper comic strips archived for the last 30 days. Allows users to create their own short graphic novels. Links to seventeen * online/downloadable graphic novels. Here are some educational journal sites from publishers and organizations provide free online content, including articles and media about current events, some of which are generated by students themselves. Over 7 high quality image comics. Links to a number of online graphic novels including Darkhorse's version of H. G. Wells' War of the Worlds. The Graphic Novel version of the NBC television show Heroes. Download/Video/Online. First chapter of graphic novel. 18 different manga series available as online flip books. A picture book collection that uses a flash display to show the entire book, but has no option for zooming or enlarging. Users are able to create their own bookshelves from the extensive collection (over 300 books). Comic book set in H.P. Lovecraft's Arkham in 1933. Seth Fletcher has just journeyed to Arkham, seeking his brother lost years before, but as he will soon discover, all is not as it seems. Over a thousand different Manga to be read online. Listing of newspapers from around the world that can be read online. Graphic novels for the web and PSP. A very fun ebook site that delivers books (poetry, short stories, and classics) in what looks like PowerPoint presentations. The site from the New Zealand Book Council delivers the texts using Flash that looks like PowerPoint. Very fun as the Flash application that runs in fullscreen and looks exactly like a Windows XP desktop with book categories to choose from. 20+ texts in FLASH. Fledgling ( http://www.korval.com/fledgling/) - a novel from the Liaden Universe� by Sharon Lee and Steve Miller. Hunt for the Dymalon Cygnet (http://www.readersadvice.com/mmeade/scatwlds/sponsor.html) - a Serial Novel in the Scattered Worlds universe by Don Sakers. The Big Meow (http://www.the-big-meow.com/) - by Diane Duane. UComics.com: http://www.ucomics.com/comics/ Over 60 daily newspaper comic strips. EBooks, including comics and graphic novels, available in PDF format.